Just born Janurary 28th, 2009! 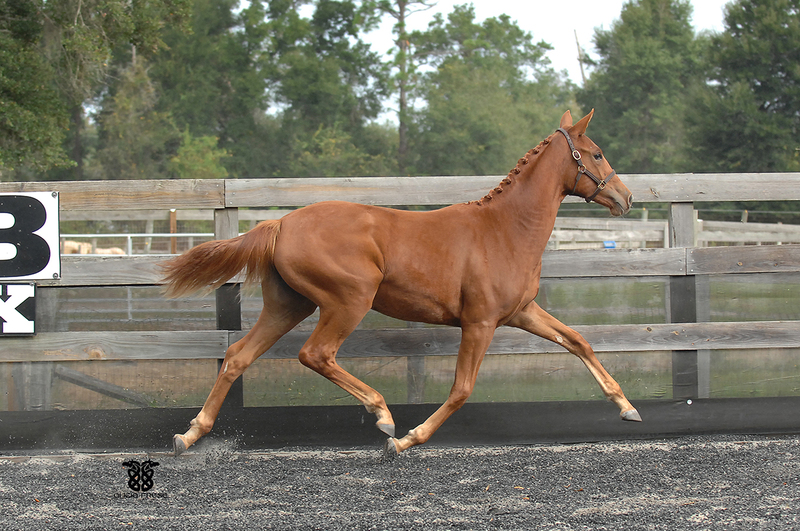 Sired by hanoverian stallion Liberty Gold (Londonderry x Walida) out of Buttercup ( Blue Eyed Dream x Wrummy). She is a beautiful deep red chestnut with a perfect star on her head. This is her dam's (Buttercup) first foal although London Dream was carried by a surrogate mare via embryo transfer. 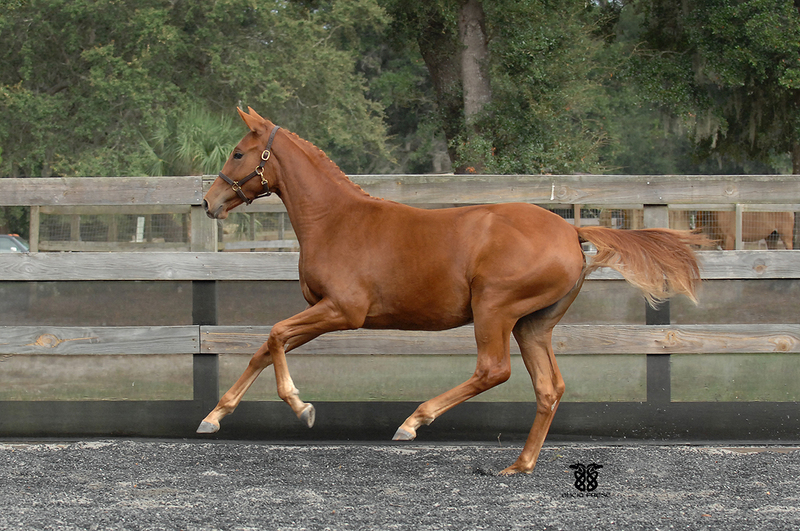 This filly is absolutley stunning and is going to make a wonderful upper level dressage horse one day! Shown above at her November 2009 AWR inspection. London was recently sticked at just a hair under 15.3 hands in Feburary 2011 just turning two years old!! She's sure to be a tall girl. She is very sweet and brave, loves to be groomed, stands well in he cross-ties, single-ties and stand well for the farrier. 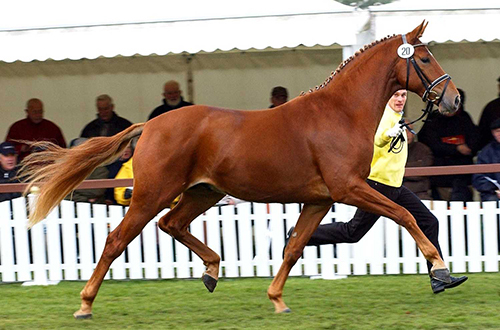 Liberty Gold is a 16.2 hand chestnut stallion by Londonderry by Walida (by Weltmyer). Double Champion of both his Stallion Licensing in Verden and of the 11 month performance test at Adelheidsdorf, Germany. In 2005 he was awarded Grand Champion at Devon. 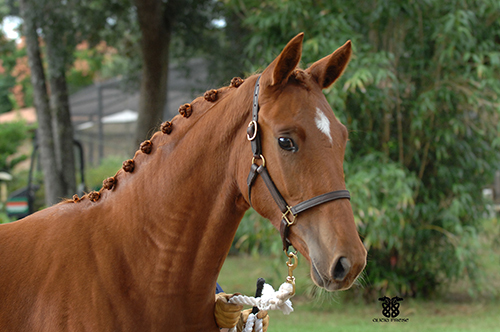 In 2003 at his licensing Liberty took highest honors, excelling in his basic gaits, free jumping, confirmation, and overall suppleness. In 2004 he was victorious at Adelheidsdorf with a dressage index of 147.75 and an overall score of 140.93. When the final scores were tallied, we were astonished with his results: Liberty Gold scored 9.33 on trot, 9.5 on canter, 8 on walk, 9 on Character and Temperament, 9.667 on Rideability, and a 9 on his willingness to work. 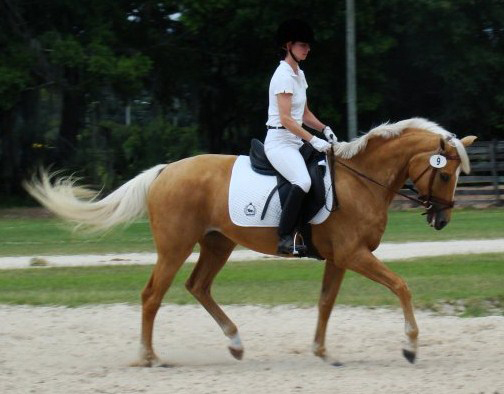 Buttercup is a 16 hand Oldenburg x German Warmblood palomino mare bred by Equivale. 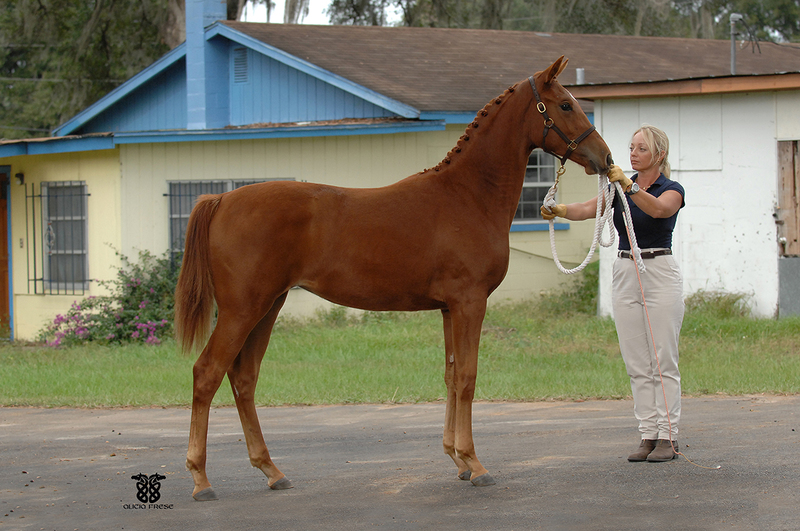 Buttercup was awarded First Premium Premier at her American Warmblood Registry inspection as a weanling. She is sired by the imported ZFDP stallion Blue Eyed Dream and out of the Oldenburg mare Wrummy. 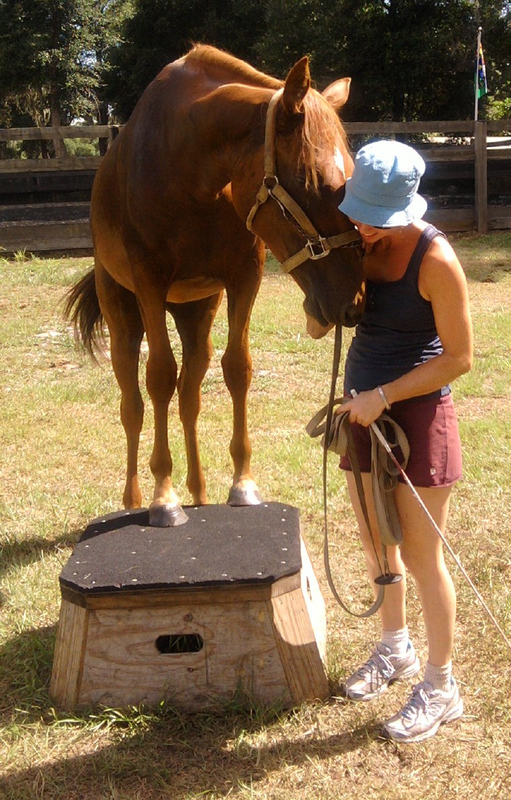 Buttercup was scoring as high as 73% in Training Level dressage as a 4 year old and is now as a 5 y.o. moving up to first level so far scoring as high as 66%!